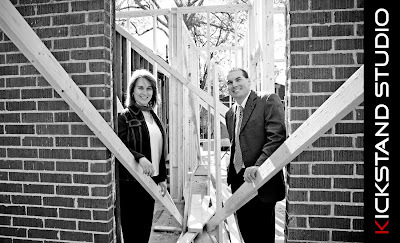 Well folks, it looks like Real Life LEED finally has some competition, and I couldn't be more excited... Gretchen and Scott Lambert, two architects from Columbia, SC decided not only to pursue LEED-Homes certification as they remodeled their home, but also to blog about the process! This blog is an excellent mix of practical info about the remodel and technical info about the LEED-Homes process. It's the kind of blog I would write if I knew anything about LEED-Homes, which I don't. There's even a running tally of Yes, No, and Maybe points that's updated regularly. The only bad thing is that they're somewhat far into the process already, so you have a lot of reading to do to catch up. Start now! Here is a LEED fo Homes pilot project that I have been working on. We should know what our official rating will be within a week or two. We are crossing our fingers for Platnium. Great Article! Anyway, i found a website that contains heaps of information about the environment. Here’s the link: http://www.informaction.org. Hope you guys enjoy it! We'll add their blog to our list! Does anyone know how to become a LEED Home provider? You can find a LEED Home provider in Miami Florida please check the site www.flgreenliving.com, Thanks! CSI GreenFormat: Info Good, Functions Bad!